Jenever (also known as genièvre, genever, peket, or in the English-speaking world as Holland gin or Dutch gin), is the juniper-flavored national and traditional liquor of the Netherlands and Belgium, from which gin evolved. 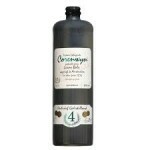 Traditional jenever is still very popular in the Netherlands and Belgium. European Union regulations specify that only liquor made in these two countries, two French provinces and two German federal states can use the name jenever/genever/genièvre. And only jenever made in East-Flanders, Belgium can use the name O'de Flander-Oost-Vlaamse graanjenever. 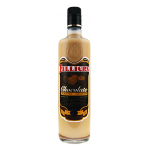 Jenever was originally produced by distilling malt wine (moutwijn in Dutch) to 50% ABV. Because the resulting spirit was not palatable due to the lack of refined distilling techniques (only the pot still was available), herbs were added to mask the flavour. The juniper berry (jeneverbes in Dutch, which in turn comes from the Latin Juniperus) was chosen for its alleged medicinal effects,hence the name jenever (and the English name gin). here are two types of jenever: oude (old) and jonge (young). This is not a matter of aging, but of distilling techniques. Around 1900, it became possible to distill a high-grade type of alcohol almost neutral in taste, independent of the origin of the spirit. A worldwide tendency for a lighter and less dominant taste, as well as lower prices, led to the development of blended whisky in Great Britain, and in the Netherlands to Jonge Jenever. During the Great War, lack of imported cereals, and hence malt, forced the promotion of this blend. Alcohol derived from molasses from the sugar beet industry was used as an alternative to grain spirit. 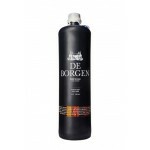 People started using the term oude for the old-style jenever, and jonge for the new style, which contains more grain instead of malt and can even contain plain sugar-based alcohol. In modern times, jenever distilled from grain and malt only is labeled Graanjenever. 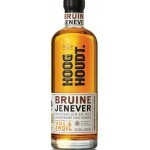 Jonge jenever can contain 'no more than' 15% malt wine and 10 grams of sugar per litre. Oude jenever must contain 'at least' 15% malt wine, but no more than 20 g of sugar per litre. 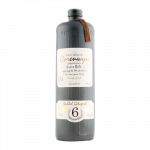 Korenwijn (grain wine) is a drink very similar to the 18th century style jenever, and is often matured for a few years in an oak cask; it contains from 51% to 70% malt wine and up to 20 g/l of sugar. 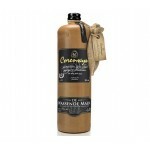 Amsterdammertje Jonge Jenever is a so called young genever made by the Amsterdam Republic distill.. 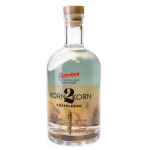 The Berentzen Korn 2 Korn is a new make spirit made of biological grain and rye combined with mal..
Bols Corenwyn is an authentic Dutch product also known as Korenwijn. Before being bottled the spi..
A 4 year old Corenwyn by Bols. An authentic Dutch product also known as Korenwijn. Before being b..
A 6 years old Corenwyn by Bols. An authentic Dutch product also known as Korenwijn. Before being .. The Bols Cornwyn VOC De Silveren Leeuw is the third release in the Bols VOC series. This release .. 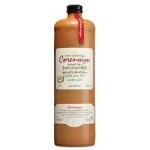 The Bols Corenwyn VOC De Wassende Maen is the second release in the Bols VOC series. 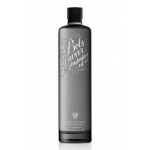 This release..
Bols Genever is a premium genever based on a traditional recipe from 1826. 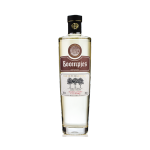 A gentle and subtle ma..
Boompjes 100% Maltwine Genever 4 years is the crown jewel of the genever range of the O. BLened w..
Boompjes Korenwijn 4 jaar is a 4 years old single barrel corn wine from the Onder de Boompjes dis.. 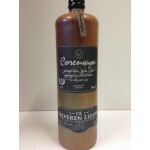 The De Borgen Corenwyn is a Dutch Corenwyn from Hooghoudt finished in a sherry cask. A blend of m.. 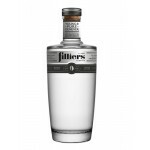 The Filliers Barrel Aged Genever 0 years old Young & Pure is an old genever and the first bot.. 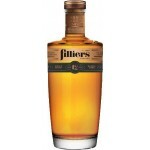 The Filliers Barrel Aged Genever 12 years old is a matured genever distilled by Filliers in Belgi.. 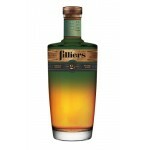 The Filliers Barrel Aged Genever 17 years old is a matured genever distilled by Filliers in Belgi.. 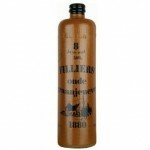 The Filliers Barrel Aged Genever 21 years old is a matured genever distilled by Filliers in Belgi.. 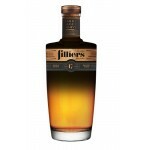 The Filliers Barrel Aged Genever 8 years old is a matured genever distilled by Filliers in Belgiu..
Filliers Chocolade Jenever is a nice combination of genever and sweet chocolate. 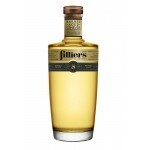 ..
Filliers Oude Graanjenever 8 jaar is a 8 years old grain genever. A unique spirit made from 100% .. 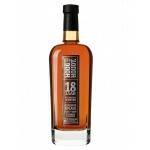 The Hooghoudt 18 Jaar Gelagerde Jenever is an 18 years old genever matured in Oloroso sherry cask..
Hooghoudt Bruine Jenever is a brown genever made by the Dutch distiller Hooghoudt. It has a littl.. 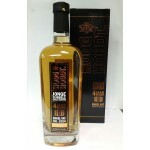 The Hooghoudt Jonge Dubbele Graanjenever 4jaar gelagerd is an aged (4 years) Dutch genever from H..